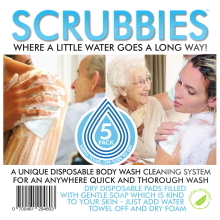 Scrubbies are a unique, disposable cleaning system for an anywhere quick and through wash! They can be applied literally anywhere, as long as you have a tiny amount of water to activate the lather! 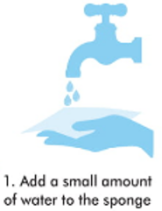 First off, take the cloth out of the packet and apply a very small amount of water! 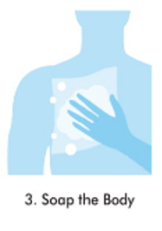 Next, gently rub the cloth between your hands to generate the lather. Proceed to soap yourself. It will take no time at all! 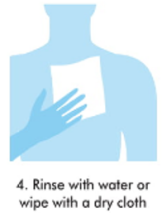 The final step is to wash off the excess, with either water or a dry cloth. Both yield the same results! And now you're very clean, very quickly! 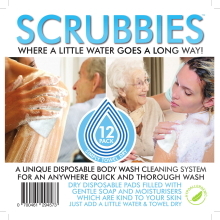 IF YOU WANT TO FIND OUT MORE ABOUT SCRUBBIES VISIT THE WEBSITE BY CLICKING THE LOGO!